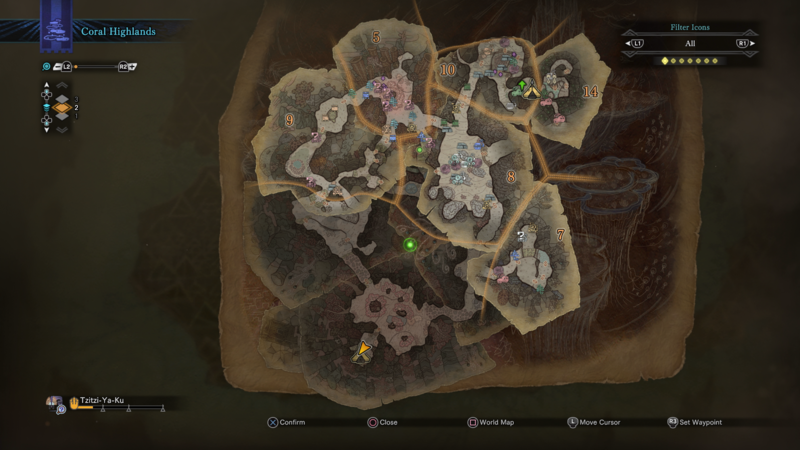 This is our guide on tracking down and finding the Palico tribe in the Coral Highlands area of Monster Hunter World. There are a number of Grimalkyne tribes to be found in Monster Hunter World, including in the Coral Highlands region. In our Monster Hunter World Grimalkyne guide, we'll be walking you through how to find the Coral Highlands Grimalkyne tribe, so you can help them out. 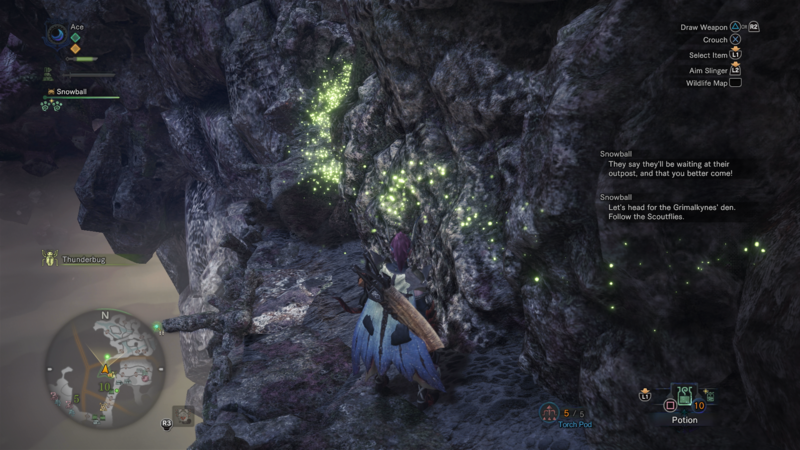 Just in case you need anything else to do with the complex game of Monster Hunter World, including how to safely capture a monster in order to obtain rare items, as well as how to quickly track down any monster in the game using the Scout Flies, make sure to head over to our Monster Hunter World guides walkthrough hub. The Grimalkyne Palico Tribe located in the Coral Highlands area are significantly more challenging than the previous two tribes found in the Ancient Forest and the Wildspire Waste, so get ready for a bit of a slog. Firstly, you can often find the three Grimalkynes patrolling around area 5 of the Coral Highlands, riding around on the back of Shamos. At this point you can actually attack all the Shamos that the Palico Tribe are riding around on, and they’ll be just fine. After you’ve slain all three Shamos, chase the Tribe using the Scout Flies back to their camp in area 11 of the Coral Highlands, and they’ll give you the task of slaying two Tzitzi-Ya-Kus. You can find both Tzitzi-Ya-Kus around the Coral Highlands map as usual, and you’ll have to defeat one after the other if you want to complete this Grimalkyne Tribe quest. The Tzitzi-Ya-Kus aren’t one of the toughest creatures in Monster Hunter World, but they will put up a fair fight, stunning the player with the blinding light from the fins on their head, which is a heavily telegraphed attack, so don’t worry about being caught off guard by it. 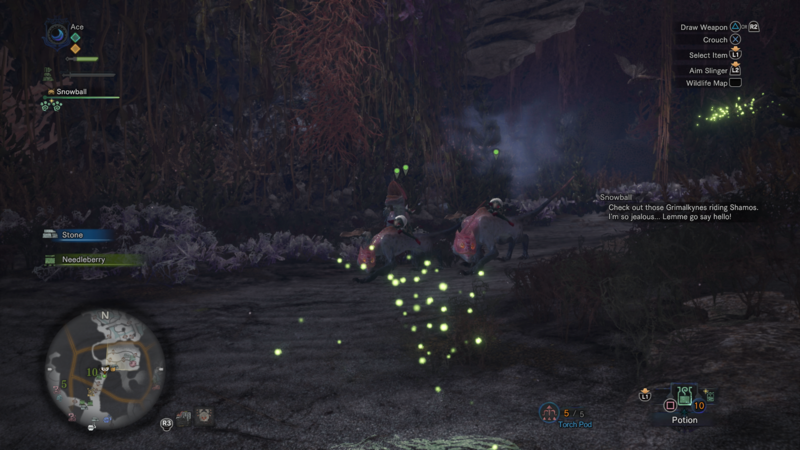 It might take you a while to take down two Tzitzi-Ya-Kus, but once you’re done with the monsters, head back to where the Grimalkyne Tribe are camped out, and you can turn in the quest for a Coral Orchestra, enabling your Palico to mount a Shamos. This might at first seem like a small reward for taking down two considerably difficult and challenging monsters, but it means that whenever you’re adventuring around the Coral Highlands in the future, your Palico has a brand new means of transportation, allowing it to scout around and uncover all sorts of useful items for you. Since we’re now wrapped up with the Coral Highlands Grimalkyne guide for Monster Hunter World, you should head over to our Monster Hunter World Plunderblade guide, where we cover how you can finally get your hands on the elusive item for your Palico to use, in order to harvest some incredibly rare monster parts.